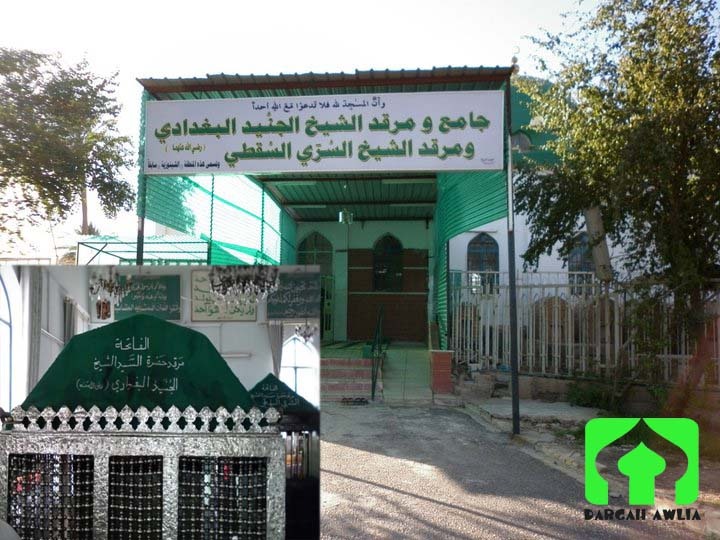 HIS POSITION IN THE SILSILA : Shaikh al Itlaaq, Mamba-e-Israar, Sultan-e-Tariqat, Hazrat Shaikh Junaid Baghdadi (Radiallahu Ta’ala Anhu) is the eleventh Imam and Shaikh of the Silsila Aaliyah Qadiriyah Barakaatiyah Razaviyah Nooriyah. NAME: His name is Junaid Baghdadi (Radiallahu Ta’ala Anhu). He was known as Abul Qasim and he was blessed with titles such as, Sayyidut Taaifa, Ta’oosul Ulama, Zujjaan and Lisaanul Qaum. SHEIKH-E-TARIQAT: He is the mureed and Khalifa of Hazrat Sirri Saqti (Radiallahu Ta’ala Anhu). KARAAMATS: Hazrat Junaid Baghdadi (Radiallahu Ta’ala Anhu) says, “The greatest Karaamat is to remain firm on the Shariat-e-Mustafa (Sallallahu Alaihi Wasallam).” There is no doubt, that Hazrat Junaid Baghdadi (Radiallahu Ta’ala Anhu) was very firm on the Shariah, and his every action was the reflection of the Sunnah of the Holy Prophet (Sallallahu Alaihi Wasallam). A few of his karaamats are mentioned below. There was a mureed of Hazrat who used to live in Basra. He once intended to commit a sin. The moment this thought entered his heart, his entire face turned black. When he looked into the mirror, he was amazed to see his condition. He was very ashamed and stayed in doors. After three days, the blackness disappeared and his face returned to its original colour. On the same day, a person delivered a letter to him, which was from his Peer-o-Murshid, Hazrat Junaid Baghdadi (RadiallahuTa’ala Anhu). When he opened the letter, he found the following written inside, “Keep your heart in control, and remain respectfully as a servant (of Allah). For three days and three nights, I had do to the job of a laundryman, so that I may wash away the blackness of your face.” [Masaalikus Saalikeen] Once a ajoosi (fire worshipper) put on a zanaar (a so-called sacred thread worn by fire (worshippers), and then disguised himself as a muslim by putting on the arabian garb. He then presented himself before Hazrat Junaid Baghdadi (Radiallahu Ta’ala Anhu) and said, “I have come to ask the meaning of a Hadith Shareef, which says, “Itaqu bi firaasatil Mo’min Fa Innahu yanzuroo bi Noorillaahi” (Beware of the spiritual sight of a true believer, for he sees with the Noor of Allah). Could you explain the meaning of this Hadith?” Hazrat Junaid Baghdadi (Radiallahu Ta’ala Anhu) heard his question and smiled. He said, “It means that you should break your zanaar, leave kufr and accept Islam.” When he heard Hazrat’s reply, he was astonished, and immediately recited the Kalima Shareef and accepted Islam. [Tazkiratul Awliyah pg.233] Once, there was a mureed of Hazrat Junaid Baghdadi (Radiallahu Ta’ala Anhu), who felt that he had perfected himself (become Kaamil). He thus, began to live in total seclusion. At night, he used to dream of an angel, which used to present a camel before him. He used to then sit on the camel, and the angel would take him on a journey of Jannat. He used to enter a place that was very beautiful. He used to partake in delicious food and drinks, and he saw the most handsome people there. After a while, he would return to his home. He reached such a state, that he began to tell people, “I am amongst those who visits Jannat daily.” This message reached Hazrat Junaid Baghdadi (Radiallahu Ta’ala Anhu). Hazrat then went to visit him, and found him sitting with great pomp and splendour. Hazrat asked him about his claims, and he explained everything in detail. Hazrat said, “Tonight, when you reach this place, you must read Laa Howla wa Laa Quwwata illa Billaa Hil Aliyil Azeem” That night, when he had the dream and he reached the so-called Jannat, he read as Hazrat instructed him to. The moment he read this, all those in his dream began to shriek and flee from him. He then saw that he was sitting on a donkey, and there were skeletons in front of him. On seeing this be became afraid, and realised his mistake. All that he was seeing was an illusion of shaitaan. He immediately rushed to Hazrat Junaid Baghdadi (Radiallahu Ta’ala Anhu) and repented for his behaviour. He also learnt, that for a mureed to be by himself is like taking poison. 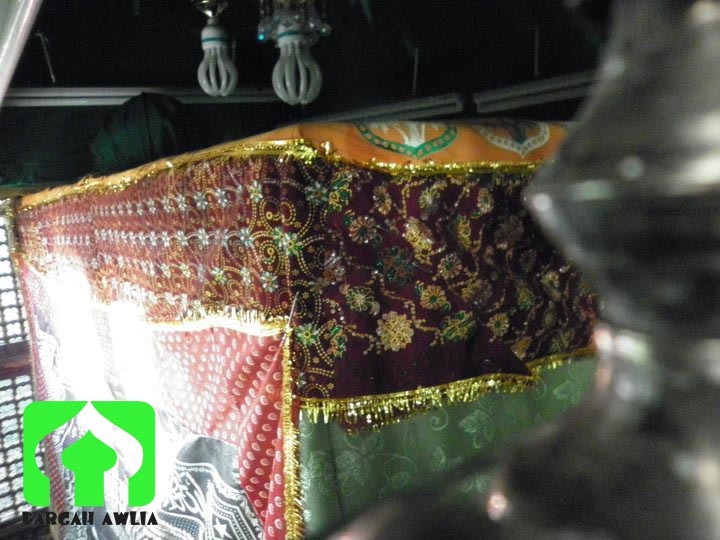 HIS KHULAFA: Some of his most respected Khulafa are: Hazrat Abu Bakr Shibli, Hazrat Mansoor Abraar, Hazrat Shah Muhammad bin Aswad Dinoori and Hazrat Shah Ismaeel Al Aziz (Ridwaanullahi Ta’ala Alaihim Ajma’een). saying this, he completed the recitation of the Quran. He read seventy verses of Surah Baqarah. He then began reading a tasbeeh on his fingers. When he reached the Shahaadat finger (index finger), he lifed his finger and said, “Bismillah Hir Rahman Nir Raheem”. He then closed his eyes, and the soul left his body, allowing him to travel from this mundane world into the glorious hereafter, on Friday, the 27th of Rajab, 297 or 298 Hijri. After his wisaal, those giving him ghusl wished to put water on his eyes, when they heard an unseen voice saying, “Do not touch the eyes of My beloved, since those eyes that have closed in My remembrance, shall not open before they see Me.” They then tried to open his fingers, and the voice said, “Those fingers that have been closed in My name, shall only open on My command.” [Masaalikus Saalikeen vol.1 pg 308]. MAZAAR SHAREEF: His Mazaar Shareef is in a place called Shaunizia, which is in Baghdad Shareef. Once someone asked Hazrat Abu Bakr Shibli (Radiallahu Ta’ala Anhu) a masla (religious query) whilst he was at the Mazaar of Hazrat Junaid Baghdadi (Radiallahu Ta’ala Anhu). He said, I feel ashamed to answer in front of the Mazaar of Hazrat as I felt ashamed to answer in his presence, for I still feel that his sight is upon me.